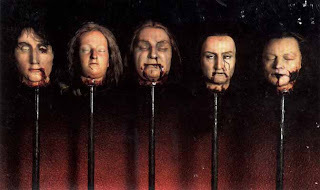 Last week's post briefly covered immortalizing the dead through death masks. A death mask is a plaster, wax or metal casting of the deceased’s face. With the Renaissance’s art movement toward naturalism, death masks were taken to create an exact likeness from which subsequent portraits could be made. But unlike portraiture, they were often a far more accurate representation of the deceased. During the 16th century, funeral effigies of dead kings and queens were carved from oak or wax and placed on top of coffins. The image to the right is a wooden effigy of Henry VII covered with linen and stucco. Traces of paint still exist on the face and a wig once sat on the head. You will notice that the eyes are open, not closed. 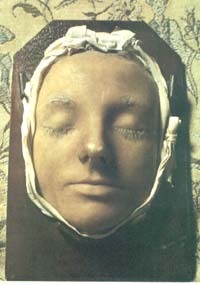 Although difficult to prove, the obvious realism of Henry’s effigy may have been achieved with the help of a death mask. As works of art themselves, death masks in the 16th -17th century had little value. They were viewed simply as a tool to assist in portraiture. And although unquestionably a macabre practice, the death mask was not designed to capture the subject in death, but to portray how the subject looked during life. All of that changed when heads started to roll during the French Revolution. The Revolution's hatred was never satiated by the slice of the guillotine. The mob wanted an effigy to quench their thirst for blood. 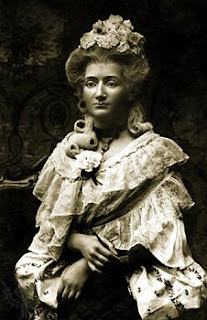 And that is when Marie Grosholtz , otherwise known as Marie Tussaud, found herself employed unwillingly by the angry Parisians of the Revolution. 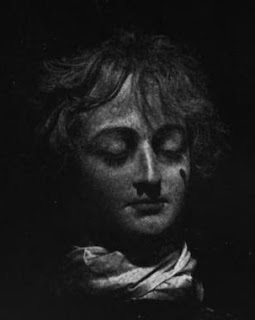 Marie made wax death mask of many famous victims of the revolution including Marie Antoinette, Louis XVI, Madame Elizabeth, Princess Lamballe, Robespierre, Danton, and Marat to name just a few. To the right is the death mask taken of Marie Antoinette. Marie Tussaud did not attend Marie Antoinette’s execution, but she did see the queen go by in her tumbril on the way to the scaffold. *It is doubtful that Mary's death mask was created at the time of her death. 1. Paint the hair over with a thick solution of modeling clay or oil so that the plaster will not adhere to it. 2. Ladle thin plaster over the face. 3. Place a thread from the bottom of the chin to the top of the forehead. 4. Ladle a thicker plaster over the face. 5. Before the second layer dries, remove the thread to divide the mask into two halves. 6. After the mold is hard, carefully remove it from the face. This step is hard. Be careful. 7. Fit the two halves together. 8. Clean the inside of the plaster mask and refill it with modeling clay and plaster to make the final model. 9. Add hair, eyelashes...glitter. Be creative. This is YOUR death mask. Stay tuned for a future post on Marie Tussaud and her wax models. My favorite part of Madame Tussaud's museum has always been the death masks. Frankly I could care less of a wax statue of Brad Pitt or JLo but the mask of Marie Antoinette, yes. 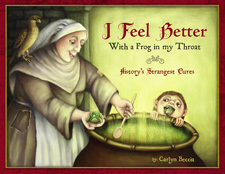 Such a great idea for a post, Carlyn. I can't wait for the one on Madame Tussaud. 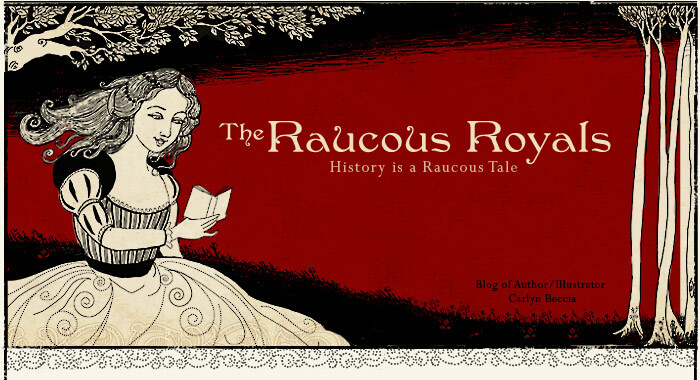 Her Memoirs may not be always reliable, but they are a must-read for anyone interested in the Revolution. Is the death mask of Mary, Queen of Scots real? It looks far too serene. If this is the way she looked (while she was alive) she was a very beautiful woman. Where do people keep death masks, such as Marie Antoinette's? Are they kept in museums? 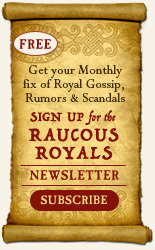 Royal Collections? Why do people not do death masks any longer? Is it that it's not appropriate? We don't have the same macabre fixation on death? Or that photography has taken its place? Contemporary accounts of Mary do say that she was very beautiful but her years of imprisonment took their toll. I doubt Mary went to her death looking so much like a porcelain doll. 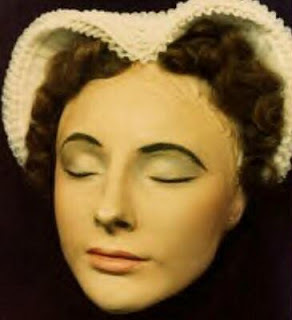 The death mask of Mary Queen of Scots is questionable because it is so idealized. (see the eye lashes and painted makeup). It looks more like the death masks and wax effigies used in the 18th century made by Madame Tussaud ( a future post coming…) 16th century death masks had one purpose – to save the likeness of a person so that future art could be made. They were not viewed as art themselves which may explain why so few from the 16th century survived. I would argue that we do still have some fixations on death. One could say that open casket funerals are kind of creepy. I don’t know. What do you think? Death Masks are scattered all over the world in many royal collections. The Duke of Wellington’s death mask can be found in Apsley House. Many death masks are copies of the original death mask. I believe Napoleon has several death masks floating around. I have yet to uncover any tudor death masks so if you find any than let me know! Thank you for your answers! Very interesting! Yes I was kind of wondering with the Mary of Scots mask. It does seem rather doll-like. Yes, I think that people still do have a fixation with death, open caskets, but I'm guessing it's more for closure than any voyerism (don't know if that's the right word). Maybe people still do have the same fixation but it's not appropriate to say so. It just seems as though death was much more of a focus back then. Taking photographs of the dead was at one point appropriate but now do we see anyone with a camera at a funeral trying to capture the moment? Sometimes I wonder why that is. Getting off the topic, why was it once okay to photograph the dead and not so any longer? Maybe it's the same thing with the death masks, it was appropriate at the time until something replaced it, like photography. Maybe now it's been replaced with talking about the person, actively dealing with grief. Looking at a photograph of a person in death isn't healing is it? The painted mask of Mary, Queen of Scots is known as the Jedburgh mask. I've heard that it was painted by Max Factor, which explains the 1940s-1950s look of the make-up. There's another mask, unpainted, called the Lennoxlove mask, which is apparently of dubious provenance. Antonia Fraser thinks it is likely of a Hamilton lady, since she states that the features are smaller and quite different than those in the other mask. Other people think it is the same mask as the Jedburgh mask, only unpainted. There's also the image on her effigy, which very well might be modelled on another death mask, made by the surgeon at her autopsy. Perhaps the mask made by the surgeon is the Jedburgh mask? It is all very confusing, and chances are people will not stop debating this any time soon. As for Mary looking unusually serene and pretty, I don't think this is strange for most death masks. Robespierre looks very attractive and serene in his death mask, and he died a horrible death- he went to the guillotine with a broken jaw. Napoleon also looks quite handsome in his mask, and he was either murdered or died of stomach cancer. Mary could have easily looked beautiful in her death mask... I don't know if either the Jedburgh mask or Lennoxlove masks are real, though. I'd like to think one of them is authentic. Just wanted to drop a quick 'thank you.' Its actually not that easy to find instructions for how they actually made the death masks in the 16th and 17th Centuries, so your article was incredibly helpful. The death-mask is almost certainly not Marie Stuart: the features are too small and delicate. Her portraits show her with the long nose, heavy-lidded eyes and thin lips of her family. I love the Henry VII mask and figure. Sadly, the body disintegrated because of water damage in WW2: the figure was originally 6'1"in height, and beautifully modelled. The face is still quite handsome, despite the ravages of TB. I am crazy about wearing the different kinds of masks. I have worn Halloween masks in many of fancy dress parties and Halloweens. Now I am thinking to wear the horrible masks. The death masks are suitable for me. Thanks for sharing.